FP PLUS is the 'enhanced' , hard skin, dressable fire resistant cable most commonly needed for fire alarm and emergency lighting circuits as defined by BS5839-1:2002 and BS5266-1:2011. It is approved by third parties BASEC and LPCB in accordance with the requirements of BS5839-1:2002+A2:2008 Clause 26.2 and BS5266-1:2011 Clause 8.2.2b for enhanced fire resisting cables. 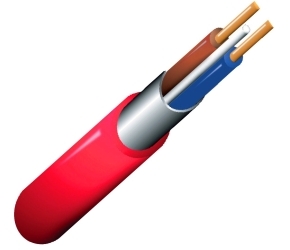 FP PLUS uses Insudite, unique to Prysmian, which provides a tough, damage resistant insulation that outperforms the commonly available soft-silicone fire resistant cables.